Unofficial Samsung Remote is an app that does exactly what the title suggests. 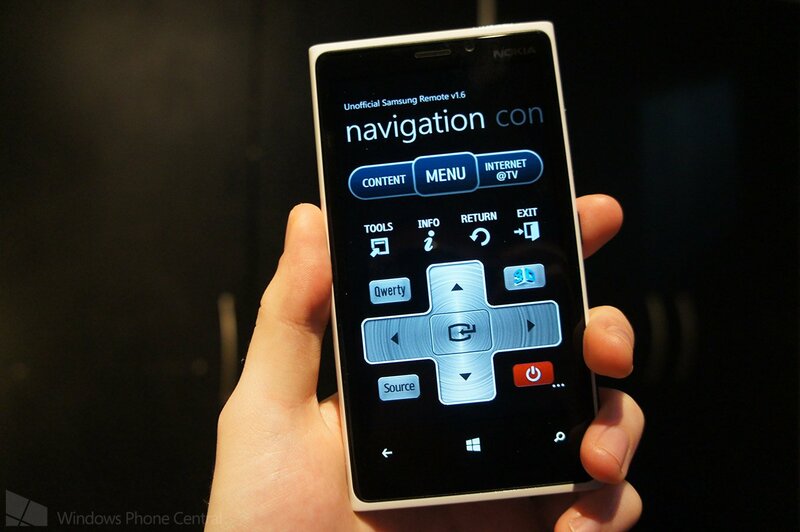 The Windows Phone app enables users to control their Samsung Smart TV sets to take advantage of the television's advanced functionality that may not be available with the standard remote. As well as changing channels, adjusting volume levels, navigating around the Smart Hub and inputing data into fields using the keyboard, the app boasts a number of features that's going to make any Samsung television owner drool. Unfortunately there is a downside to the app (though it's reportedly down to the television itself, and not how the app is coded). The app cannot turn the TV on as its wireless remote server is only running when it's already powered on. Furthermore, this is not a licensed, endorsed or approved Samsung solution, so be sure to use at one's own risk. 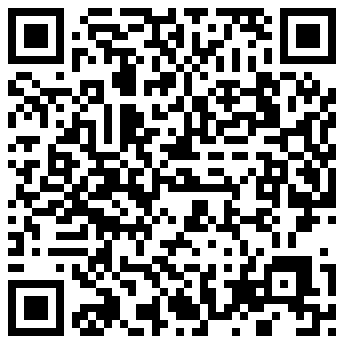 The latest version (1.6) upgrades the app to fully support Windows Phone 8 hardware, as well as the implementation to make holding down volume up / down keys to register continuous manipulation of the volume. 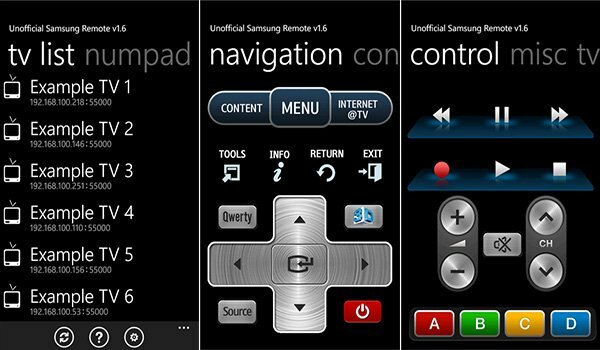 You can download Unofficial Samsung Remote from the Windows Phone Store for $0.99 (£0.79). It's available for both Windows Phone 8 and 7.5.